Harmon Group | Start Using Calls to Action Today! Start Using Calls to Action Today! Whether you’re creating a new print campaign, radio spot, or direct mail piece, your goal is to gain awareness and increase business. Making a great product and positioning it in the marketplace is just the first step though. You need to push your audience out of idleness with a call to action, or CTA. In the simplest terms, a CTA is the final message on an ad that motivates your audience into movement. 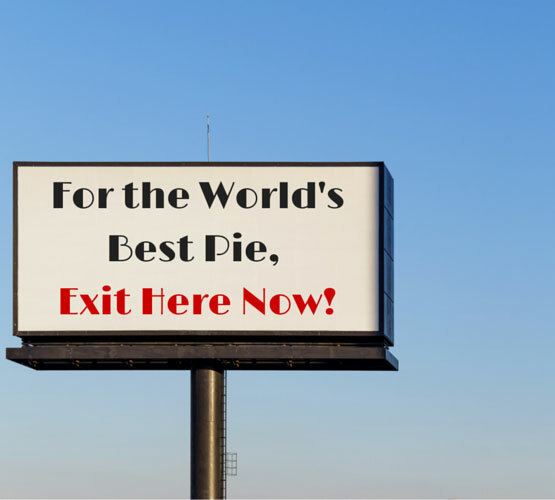 If you’ve seen a billboard proclaiming something like, “For the world’s best pie, exit here now!” you’ve experienced the sense of urgency and clear direction a CTA provides. But it can be difficult to persuade people to take action. There are a few key points to keep in mind when creating a CTA to make sure consumers take notice and respond. There’s a fine line between instructing your audience on what to do next and letting them make the decision. A good CTA gives consumers confidence to take the next step themselves, and it requires careful wording. Would you respond to “Buy here now,” or would “If you need the best service in town, stop here” make you more likely to act? The first is more direct, but the second empowers the reader to make a choice while still guiding them to your door. People are exposed to over 250 ads a day, so anything that makes it easier to absorb information from an ad will garner a better response. That’s why your CTA must succinctly and exactly explain what to do next. Commonly used phrases like “stop by today to redeem your coupon” or “call us now to learn more” are fine, but could benefit from including more specifics. “Stop by our location at 1010 Main Street on May 1 to redeem your free ice cream coupon,” or “Call us at 867-5309 to learn more about this new dating service” give readers precise details, and tell them how to take that next step. Finally, make sure your message contains a benefit for the consumer. Don’t just urge them to go to your store so you can sell them there—give them a reason to show up. Offer a special discount or limited deal. Something that says fast action will be rewarded is more likely to get consumers moving. This crucial part of an ad shouldn’t just be tacked on at the end. A CTA should be crafted using compelling and inviting language, while impressing upon potential consumers that the time to do business with you is now. This can be a tricky balance to achieve, but Harmon Group is here to help. Call us today at 615-256-3393 (see what we did there? ), and we’ll start planning your next campaign.